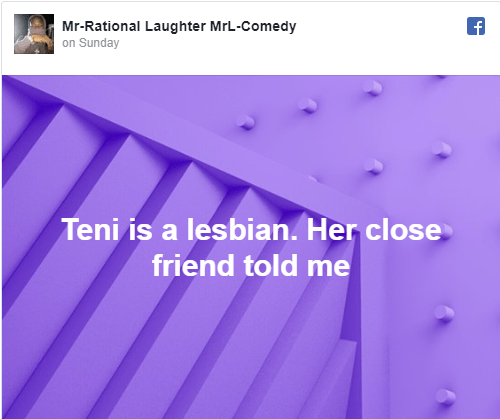 A Facebook User by the name Mr L-Comedy shared on Facebook that singer Teni is a lesbian. He claims that he was informed by Teni’s close friend. Some people on Facebook think he is making a joke out of it why others reproach him for spoiling her name. The singer is known for her tomboy style. The post Facebook User claims singer Teni is a lesbian appeared first on Ghafla! Nigeria.